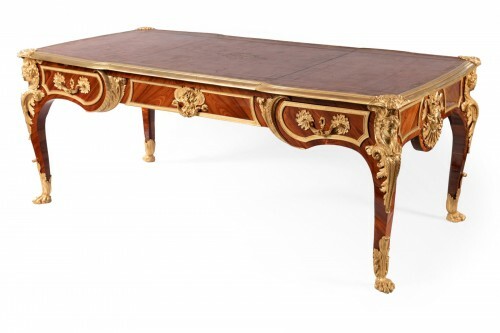 An exceptional Louis XV style desk stamped PAUL SORMANI, 10, rue Charlot, PARIS. 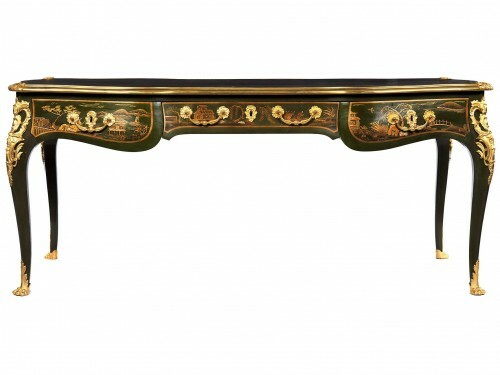 This gilt Bronze mounted desk is inlaid with an kingwood marqueterie. 5 full drawers, raised on cabriole legs. Paul Sormani was born in Venice in 1817 and later established a highly successfully business in Paris at 10 rue Charlot in 1867. 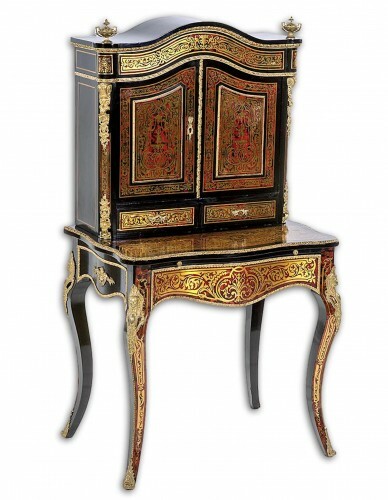 His firm produced furniture in a variety of styles, including excellent quality versions in Louis XV and Louis XVI styles. He exhibited at all the major exhibitions of his time, winning a bronze medal in 1849 and a médaille de première classe in 1855. On his death in 1877 the firm was taken over by his wife and son, who continued the business until 1934. Empress Eugénie, wife of Napoleon III, decorated her palaces with beautiful creations by Paul Sormani whose designs were of a select few favored by the Empress. Revivals of Louis XV and XVI pieces were in high demand among affluent Parisians, and Sormani created many of the finest and most important furnishings of the period. Napoleon the 3rd period, circa 1880. Les Ébénistes du XIX Siècle, 1795-1889, 1965, Denise Ledoux-Lebard.